This is not just any pillow- this is a Cuski Kids Pillow ! 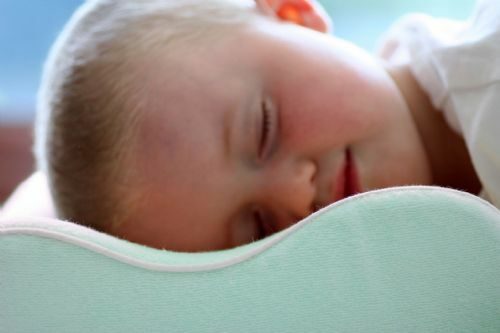 As featured on Babyology Australia - rounded up as one of the top 5 toddler pillows in the world ! Gold award in childcare! Best for ages between 2 and 10 years old and small adults. Even when a comfortable position has been found, it is difficult to maintain the proper support as the shoulders tend to push the pillow out of place. Parents, it does make sense to prevent, not create, future back problems in your children. The Original Cuski Kids Orthopaedic Pillow is protected by a 100% cotton-knitted cover. The pillowslip is made from bamboo which is anti-bacterial and very soft.. Extra pillowslips are available in other colours. 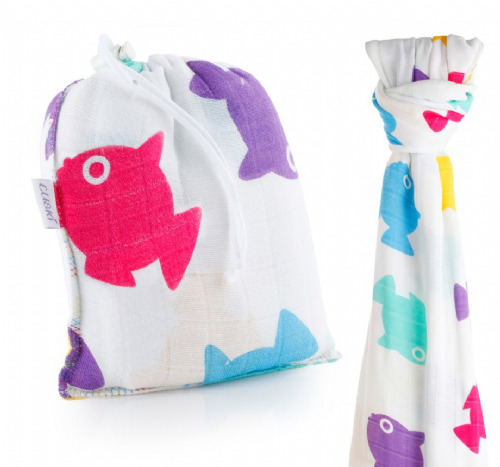 A Cuski cotton shopper bag is supplied for carrying the pillow to nursery and sleepovers, print colour will vary. Please note by required international law our pillows are treated with child friendly fire retardant. This pillow when opened may have a slight odour, which does wear off eventually. The pillows are however washable at 30 degrees cool wash only. Because of the rotation of the washing cycle, the permanent cotton covering may twist slightly, it will just need to be readjusted back into shape. My 4 year old twin boys have been using their Cuski pillows since they moved from their cribs to the “big boy beds” and they love them. And I feel good that their heads are not buried all night in a big pillow full of dust and allergens. My 4 yr old started with a normal pillow and would toss and turn all night, often falling out of bed, but since using your fantastic pillow he sleeps peacefully through the night waking refreshed. My 2 yr old has just been given his pillow and immediately he has stopped his restless movements, now staying in one position, under the covers, sleeping comfortably all night. I cannot recommend this product enough, a must have for all parents whose children roam around the bed all night. Just a note to tell you how much I appreciate you bringing out this new pillow for children. My son has always tossed and turned through the night and wakes up naggy and complains of needles in his small hands. Not anymore! I am so impressed he now sleeps completely through the night and wakes up a happy little boy! It took a week or so to work and its been plain sailing for the last 4 weeks. I cannot recommend this pillow enough - thank you from the bottom of my heart ! Absolutely brilliant ! I would just like to reiterate what a fantastic product this really is, my daughter tested this product for this years Mother and Baby’s awards and we praised it highly. Jorja normally wiggles in her bed to try and get comfortable, but when using the pillow she stayed in the same position throughout the whole night. The idea of the orthopaedic pillow for children is great, as it will prevent back/neck problems before they occur in later life and I am sure that parents up and down the country will be investing in their childs future by buying this product. Thank you Cuski for bringing this product to the market and many thanks for giving me the opportunity to test this wonderful product. We love cuski and we love cuski pillow too! When we were looking for our son’s first pillow, just before he turned 2, we were delighted to discover the cuski pillow. It is perfect for protecting little necks and preventing aches and pains from sleeping on an adult sized pillow. 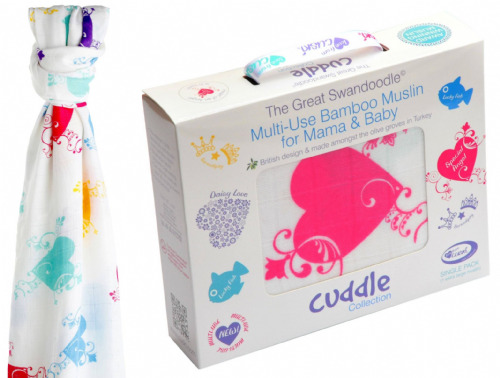 We love the fact that the pillowcase is made in the gorgeous cuski material that our little one knows and loves so well. Not only have we bought a second cuski pillow for our son, to rotate with our current one as needed, but we have also thought ahead and bought one way in advance for the new baby we are expecting! Cuski delivery has always been very prompt and customer service excellent. Highly recommended and loved. We bought this one for my son who is almost 3 and is sleeping in the big boy bed for the last few month. He had one of the pillows we had in the house, nothing special to be honest but he wanted one. Only he was sweating terribly, i'm talking soaking the pillow case. And then would just move the pillow aside in his sleep and do without. We got this one to see if it would be more suitable. Initially I thought it was a bit small, probably the size of half a normal pillow so there's plenty of space on both side when you see on a single bed. But oh boy the difference. No more sweating and despite the fact that it would be even easier than before to sleep beside it, he seems to love it through the night! The memory foam i fabulous, and I love story time with the little one to get myself a bit of Cuski pillow time. I admit, I'm a great fan of this brand, I have not been disappointed yet and i got a lot of products! This product is FANTASTIC! I will be honest, I was skeptical at first. And it wasn''t until today (day five) that I realized... my five year old has not had a night time wake-up since she began using this pillow!!! Previously, she woke at least 1-3 times, consistently, EVERY night. She tells me this pillow is "so, so soft" and to see her laying on it, it truly does cradle her head and support her neck much, much better than a standard pillow. Uninterrupted sleep - how WONDERFUL is that?!?! We LOVE it!! Highly recommend. Best pillow ever, before this pillow, my little guy (3 years) did not sleep through the night, he does now and soundly. I recommend the Cuski pillow to all my friends, its a life saver and an essential parenting product!